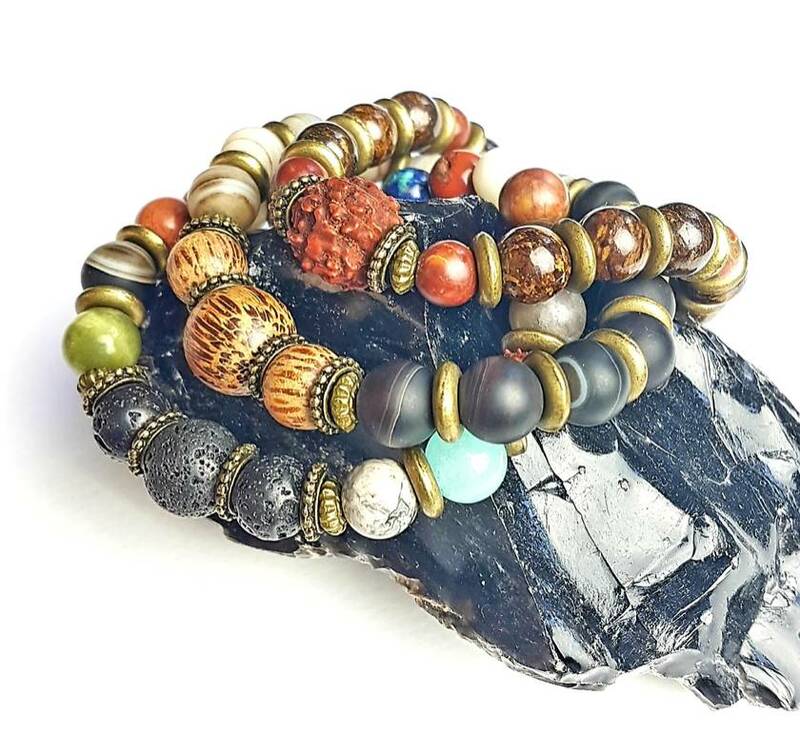 This bracelet is made up of a kaleidoscope of stones and crystals, jaspers, agates, basalt, jade, wood and obsidian to name just a few. Bronze tone alloy beads finished the look. Strung on two super stretch and durable clear elastic cords so it will easily slip on and off the wrist. •	custom sizing: let us know your size on the notes box upon checkout. 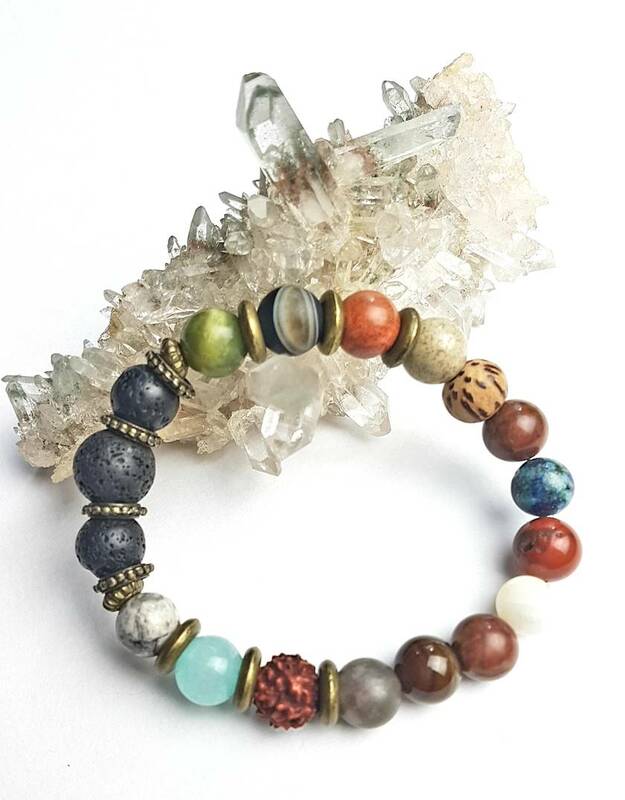 If no size is selected you will receive a medium sized bracelet. To protect the longevity of your jewellery remove before sleeping, while bathing or swimming. 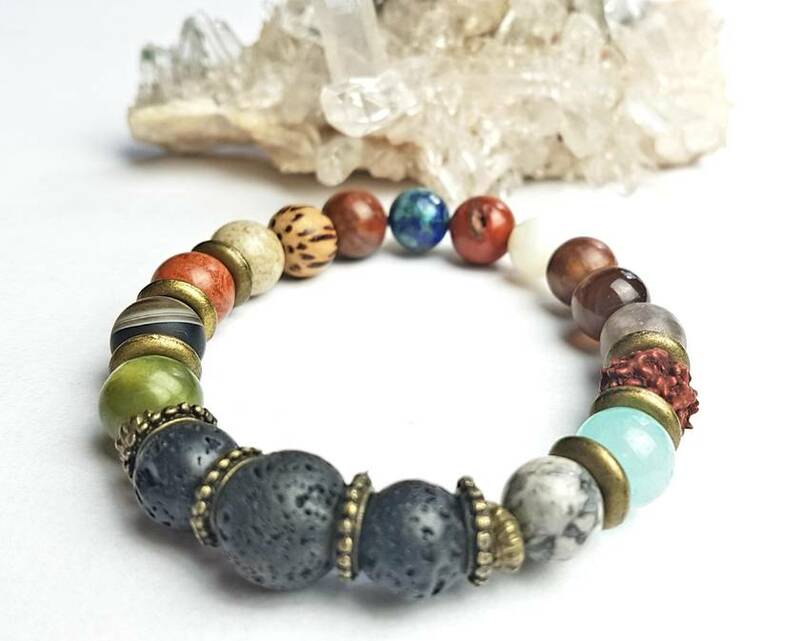 All my jewellery is made in an environment of peace and harmony, each item is carefully hand crafted by me and infused with positive energies. 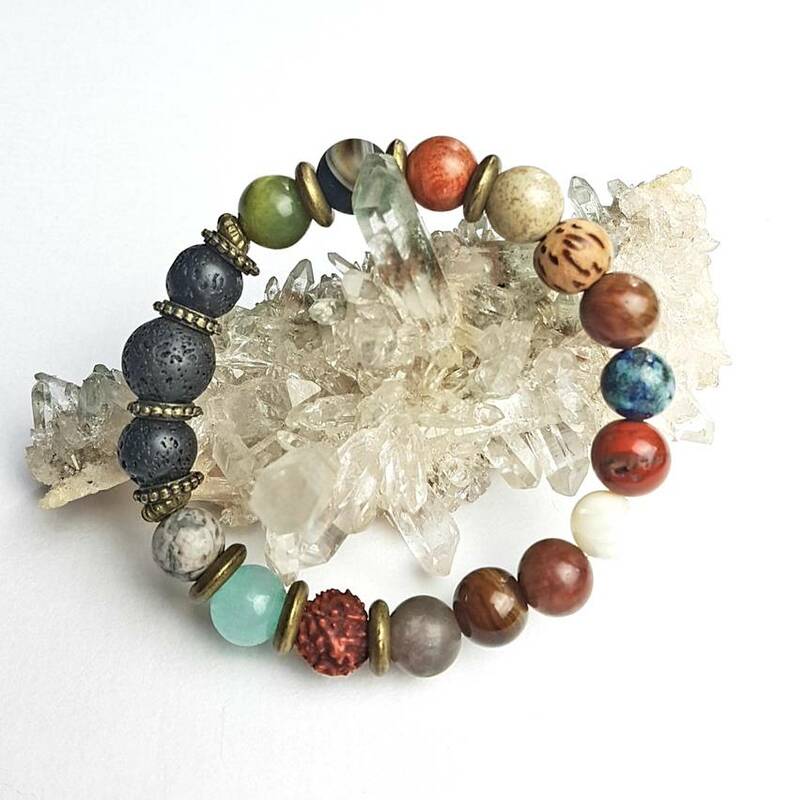 Contact yogapantry to enquire about payment or shipping options.